MNAEP is excited to announce our March event will be a seminar on Minnesota bats by Andrew Herberg (DNR) and Andrew Horton (USFWS). 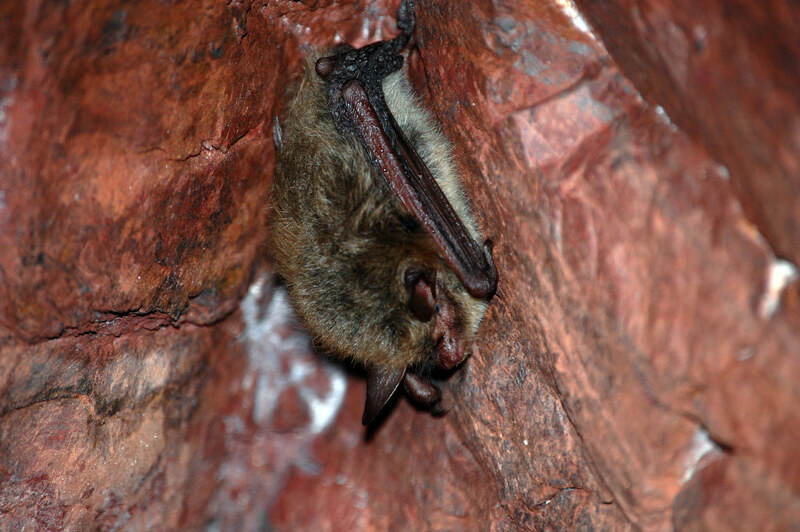 Discussion will include topics such as the northern long-eared bat habitat use in Minnesota, population status based on recent surveys, 4d rule, white-nose syndrome research and potential remedies, and the outlook for potential federal listing of other Minnesota bats. A social hour will follow at the very awesome Dark Horse Bar & Eatery. We look forward to seeing you! WHERE: The seminar will take place at the DNR Offices located at 500 Lafayette Rd, St Paul. Free parking available in Lot #2 (see below map). Social hour will follow at Dark Horse Bar & Eatery at 250 East 7th St, St Paul. THIS MNAEP IS FREE FOR ALL ATTENDEES! But we’d still love for you to join — Memberships for 2018 are $40 for professionals and $20 for students. The membership or event fee can be paid via cash, check (“MNAEP”), or Venmo (@Minnesota-AEP185) at the day of the event. If you’re interested in joining MNAEP, please message us or email us at minnesotaaep@gmail.com!